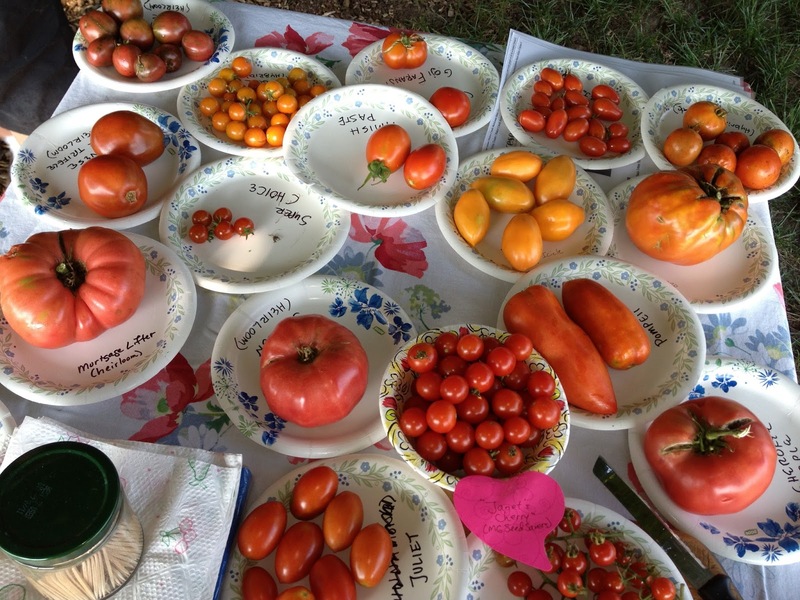 We had our tomato tasting at the Derwood Demo Garden yesterday, with tomatoes both from the garden and from MGs’ home gardens (we had 25 kinds, in the end). All kudos to my partner in crime vegetables, Robin Ritterhoff, for getting this organized. I love when plants do unpredictable things like grow fruits that attach to each other. 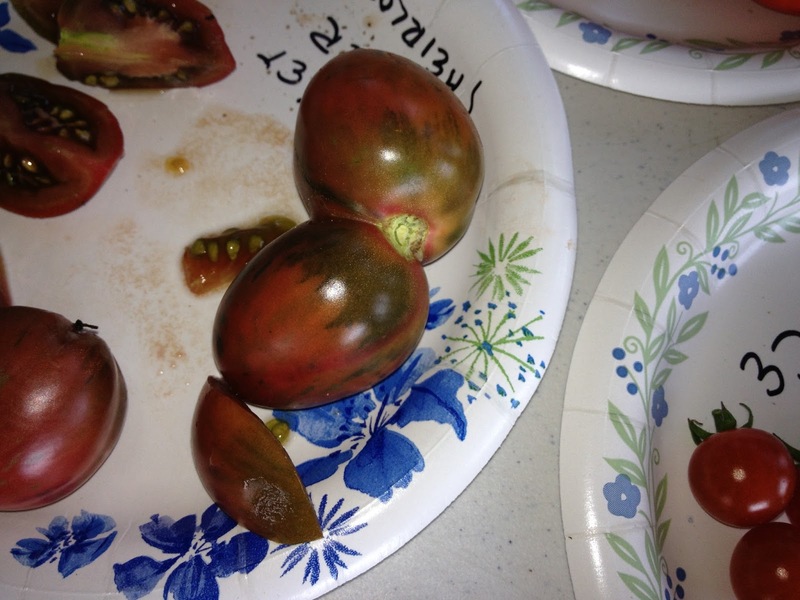 Matt’s Wild Cherry, Sun Gold, San Marzano and Goji Faranjii also got high marks, not that it was a contest or that anyone was taking more than casual notes. 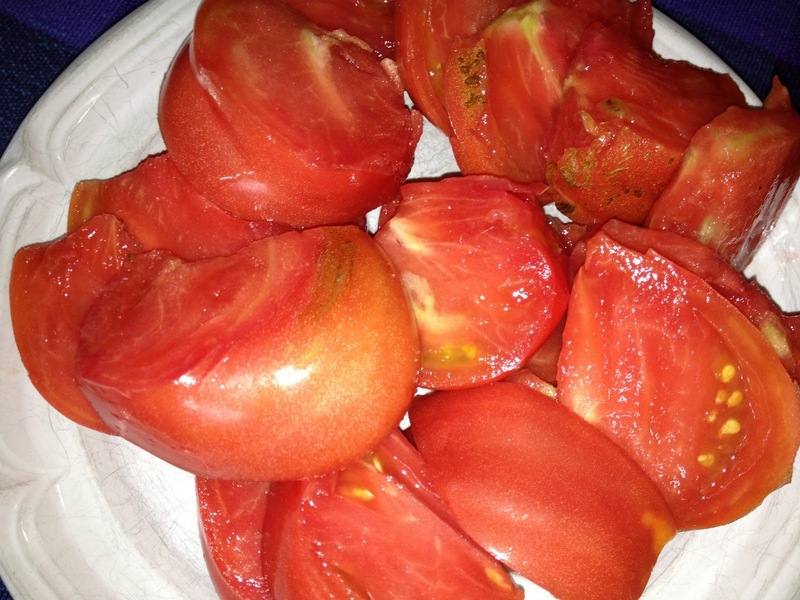 We did all agree that tomatoes are on the watery side this year, and some that normally have much more flavor were muted in taste. But it’s great fun to get together and compare!